AT&T has released a new commercial introducing Taylor Swift NOW!, a brand new channel on DirecTV, that will run 24 hours a day, 7 days per week. 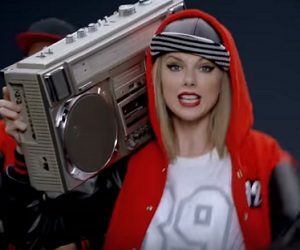 Thus, the fans of the 26-year-old American singer will have the possibility to watch “unique and never seen videos”, according to the announcement made by the streaming service, such as concert performances, behind-the-scenes footage, and special events from her life and career, available from Swift’s archives. The premiere of Taylor Swift NOW! was revealed along with DirecTV Now packages, launching today, with pricing plans that start from $35 a month for a small collection of channels. The spot released by AT&T features Taylor asking “Are you ready?” and a live performance of her single “Welcome to New York”.